Lourdes University is a Catholic and Franciscan institution established in 1958 by the Sisters of St. Francis. Offering undergraduate and graduate degrees, Lourdes is known for its quality academic programs and personalized attention afforded to students. 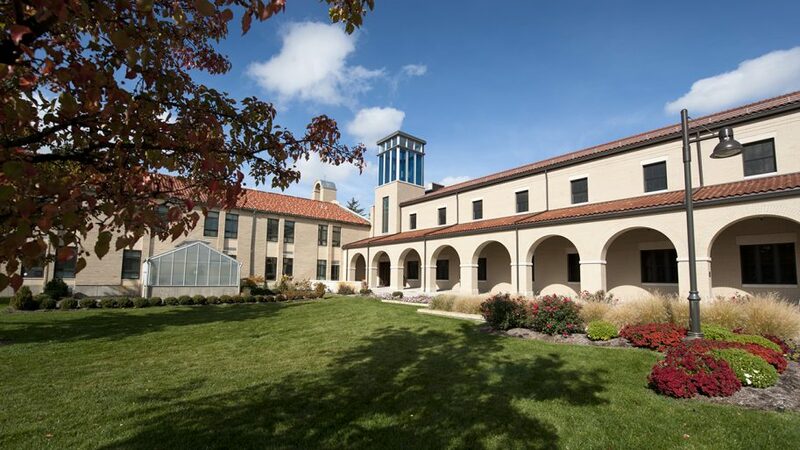 Located in Sylvania, Ohio within the Great Lakes region of the United States, Lourdes students appreciate the safe and beautiful 127-acre suburban campus. Accredited by nine national and regional academic organizations, Lourdes students can choose to major in several programs in arts and sciences, business and leadership, social sciences and nursing. The robust liberal arts education and Franciscan-inspired service learning requirement ensures students receive a holistic education that prepares them for professional and personal success. Hallmarks of the Lourdes University campus life experience are our unique apartment-style on-campus housing, and excellent student life and campus ministry programs. A member of the Wolverine-Hoosier Athletic Conference in the National Association of Intercollegiate Athletics, Lourdes University plays 12 sports across 19 men’s and women’s Gray Wolves teams. With a proven record of preparing graduates for personal and professional success, more than 90 percent of Lourdes business, education, social work and nursing graduates who pass state-administered exams secure employment in their profession or gain acceptance into graduate school within six months of graduation. Lourdes University graduates are successful business leaders, educators, nurses, social workers and professionals across the U.S. and abroad.